You can rely on us for your truck and trailer repair needs, whether it’s for a single vehicle or your entire company fleet in Salisbury. 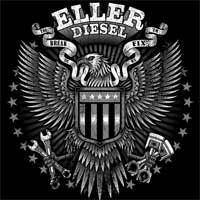 At Eller Diesel Truck & Trailer Repair, we are a family-owned and operated repair service that has been serving the Salisbury, North Carolina community for many years. We provide truck repair, trailer repair, and tractor-trailer repair and will help you with the preventative maintenance you need for all your trucks and fleet vehicles. We’ll help you get back on the road! We know that your working vehicles are a critical part of your daily operations, and having a mechanic you can rely on for your truck repair is critical. Over the past 25 years, we have made it our mission to bring our customers the best in truck repair services, including adding 24-hour roadside assistance for drivers who get stranded. We service at 25-mile area to make sure you can get to safety and have your truck serviced by a knowledgeable and experienced mechanic. Over the years, we have grown from a small shop to having many employees who are ready to provide the complete truck repair and preventative services you need to maintain a single work truck or an entire working fleet for your business. When you want a reliable service to help you with every aspect of your trucks and trailers, get in touch with our experienced professionals at Eller Diesel Truck & Trailer Repair, and we will get you back on the road as quick as possible!